A quarter of a century ago, renowned adman Jay Chiat proclaimed that his agency was moving to a "virtual office." No more cubicles. No more dedicated desks – just endless open space, with lockers for personal items and day-use-only laptops. Using technology as the ultimate enabler, his knowledge workers would be maneuvering fluidly in the most open of open offices. Unfortunately for Chiat, within a six-month period employees rebelled, and within 18 months the scheme had completely unraveled. Why did his zany experiment fail? One way to begin this movement is by redefining workforce to mean community. Organizations like The GAP, Yum! Brands Inc and the Minnesota Department of Transportation have accomplished this through results only work environments(ROWE). Here, the emphasis is placed on measuring workers' output and not the number of hours they spend at the office. Popular with remote and distributed teams in the technology world, it also has applications in traditional work environments, especially those suffering from the current global disengagement epidemic. There's no one right answer to the question of how do we work best. But when an organization commits to a mode, it must have the right culture in place first to support it. ##"An independent worker can get out of bed because they're addressing the problems they want to solve," says Rachel Casanova, a workplace strategist at Perkins + Will. "They chose to take on an engagement, whereas people who live within an organization take on efforts that may or may not put them as an individual first. They're [dependent] on the energy of the organization." One company bent on creating the right workspace energy is LEGO, which recently launched its informal campus in Denmark — a space designed for equal work and play. Forgoing traditional dedicated offices in favor of lockers, the ABW pioneers cater to an employee's chosen mode of work. LEGO also plan to provide a public park, rooftop garden and golf course for needed recreation and socializing. 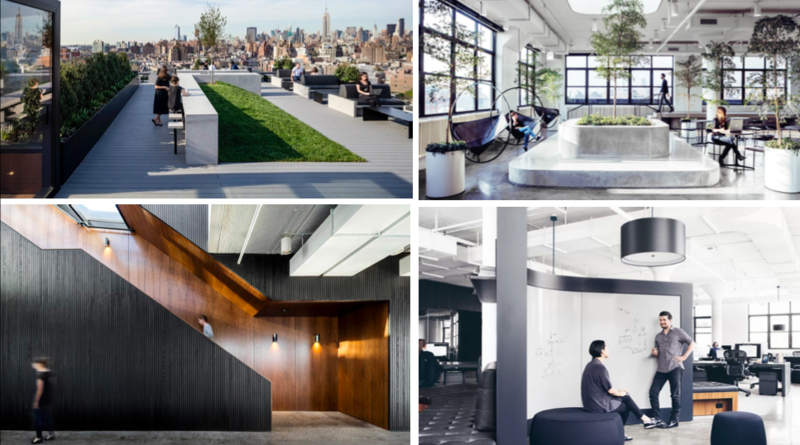 And it's not just physical boundaries—or lack of—that which contribute to a healthy and nourishing office environment. As hierarchies flatten and organizations become more networked, providing employees the ability to craft the environment that works best for them is critical to creating a highly functional business. “We call it 'choice and control,'" says Ridhy Mistry, a design strategist at Steelcase's consultancy arm. "The user has agency to craft their ideal environment, and, as leaders thinking, about the workplace, you provide the opportunity for users to control their environment." 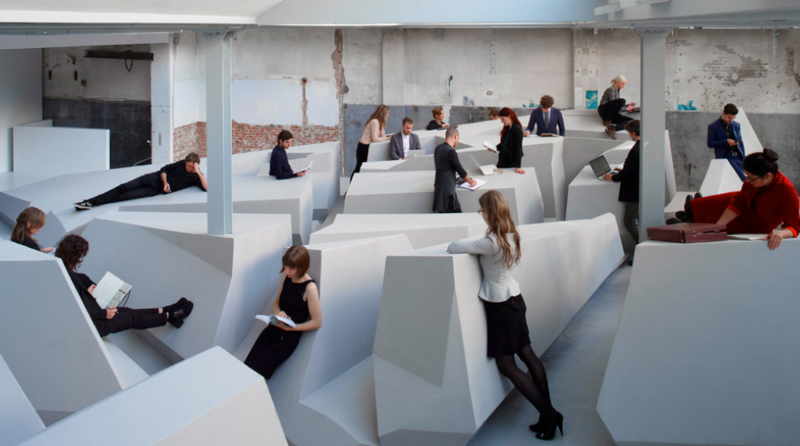 In other words, flexible office design is no longer innovative — it's table stakes. When we speak about flexibility today, we're not just talking about location. Increasingly, we're thinking about choice. The "anywhere worker" is not a roaming nomad, but someone empowered to work in the way that works best for them, which in turn, produces the best results for their organization. "Choice is really what activity-based work is all about,” says Casanova. Future-focused organizations must strategically cater to the intertwined relationship between their workforce and their workplace. Adaptability must be baked into company processes in order to enable a nourishing culture. It's a challenge, but when a company gets the balance right, great things are sure to flow. This article was written by Jonas Altman, Hyper Island Master Class Alumni and Managing Partner at award-winning innovation firm - Social Fabric. Jonas is passionate about helping people do their best work. With over 20 years experience as a design strategist, he has partnered with leading organizations including Google, Sony Music, Tate Modern and The BBC. He is an adjunct professor of entrepreneurship and innovation at The University of British Columbia and a regular contributor to The Guardian and The Huffington Post. Jonas is currently penning his second book on the future of work, due out summer 2017.